We decided to “catify” the house a little by giving the cats a few more places to explore. We took off some things from the top of a bookshelf so the cat-os can see the room from a different view. 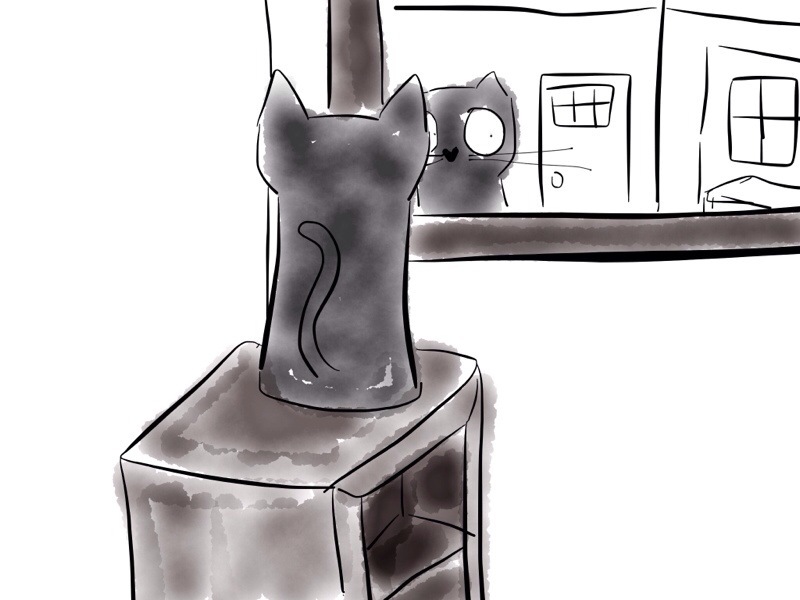 Duncan was instantly drawn to the mirror on the wall and started taking in the world from the mirror. Not particularly all that cute or funny……but it was.